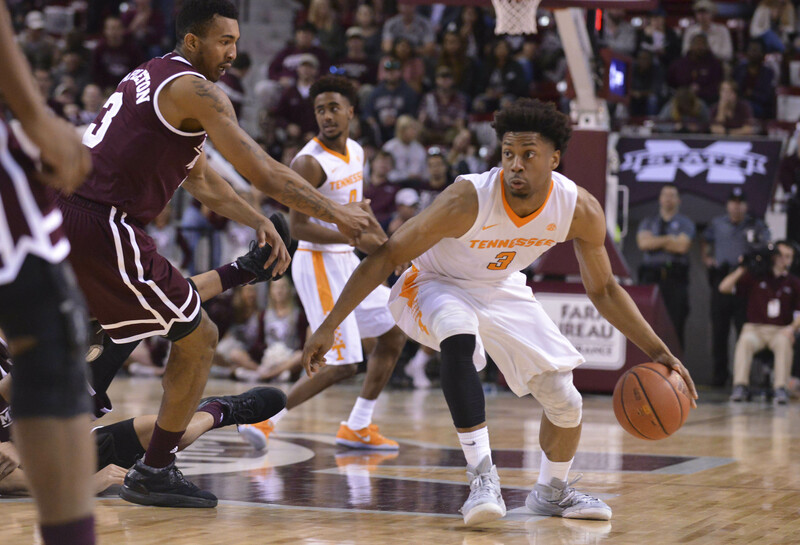 The Volunteers slid down a bit in the All for Tennessee official men’s basketball SEC Power Rankings for the week of Tuesday, Feb. 7, 2017. 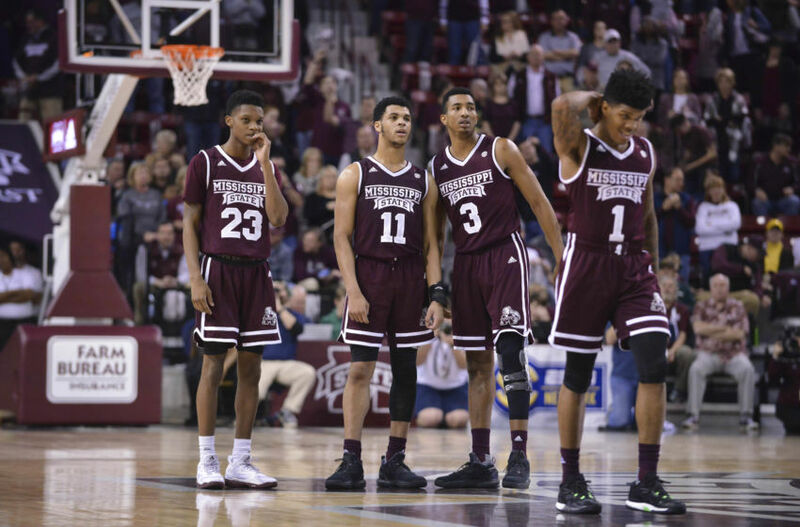 Going into this past week, everything seemed like it would be normal for our men’s basketball SEC Power Rankings this week. The lower ranked team in our standings won four of the games just over the weekend. That followed a series of midweek games where two different lower ranked teams won games. Now, we have a complete cluster of teams with the exception of a clear-cut top three. Nobody else is even a lock for the NCAA Tournament, and some teams that deserve to drop significantly didn’t simply because other teams didn’t do enough to rise. So that is where we are at with four weeks left to go of SEC basketball. There are 12 teams in the conference that believe they have a legitimate shot at the NCAA Tournament, and 11 of them are already in the Top 100 of the RPI. If that’s not enough, nine of them are in the Top 68, so there are clear-cut bubble teams right now with a lot to play for. And anything can happen with them over the next four weeks. But for right now, we have no clear way to differentiate them, so here’s a look at the ridiculous parity in the conference for now. 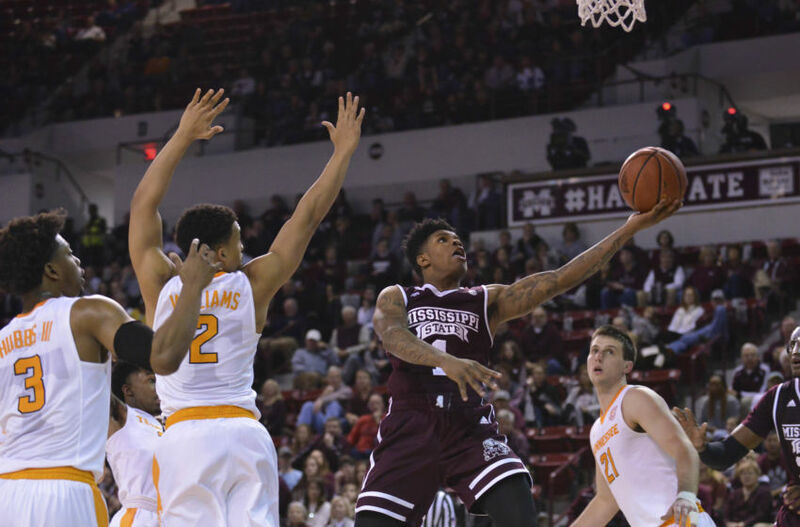 These are the All for Tennessee men’s basketball SEC Power Rankings for the week of Feb. 7. Johnny Jones’s team has fallen to the bottom of the SEC Power Rankings after losses to the South Carolina Gamecocks and Texas A&M Aggies this past week. They now have lost nine straight games and eight straight SEC games. If that’s not embarrassing enough, they have only come within single-digits on one of the games during this losing streak. Yes, this team is awful, and Jones is likely going to be done as a head coach at the end of the year. Sure, they have the No. 34 ranked strength of schedule, but this team is still terrible with its No. 143 RPI ranking. Nobody will complain about them being here, and things are about to get even more brutal. After all, their next game is a road game against the Kentucky Wildcats. In all honesty, their schedule doesn’t really matter because everybody left is better than them. So there is nothing for them to play for. But even with that 9-13 record and 1-9 SEC record, it would have taken something crazy to put them at the bottom of our SEC Power Rankings considering how bad the other team is. Something crazy did happen with that other team, however, and we move on to them next. 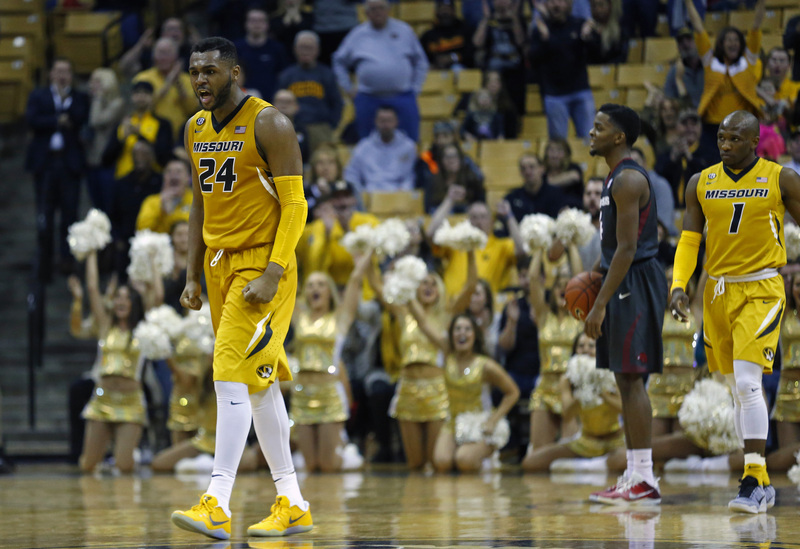 Talent wise, the Missouri Tigers are still probably the worst team in the conference. But a crazy win over the Arkansas Razorbacks, who were a top 5 team and fourth place in the standings, was enough to move them up one spot in our SEC Power Rankings. Kim Anderson’s team shocked the world with this crazy win. They had been on a 13-game losing streak and were 0-9 in the conference before then, and they had suffered a 39-point loss to the Florida Gators in their most recent outing. 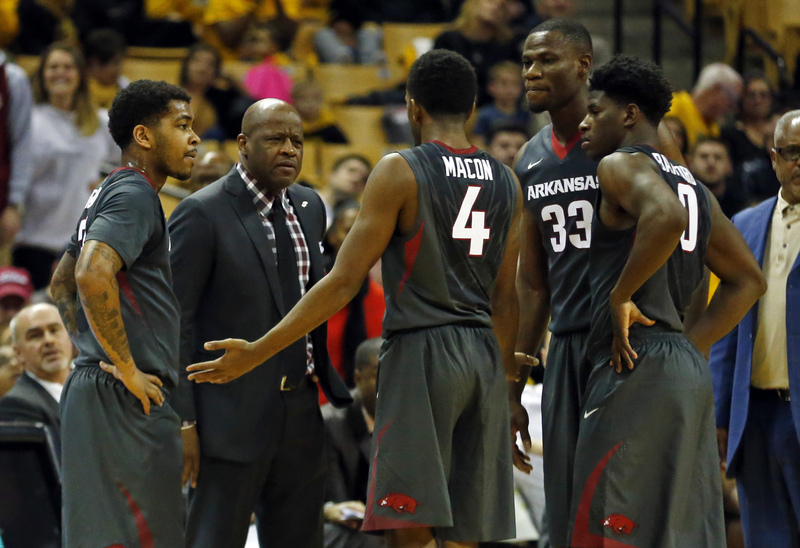 But on a miraculous night, their shots fell, and they forced 17 turnovers against Arkansas. This team is still awful with a 6-16 record, a 1-9 record in the SEC, and a No. 246 ranked RPI. Still, they get to move up for one glorious week out of last place. That doesn’t mean Anderson’s job is safe, though, and now they have to show they can actually continue this. 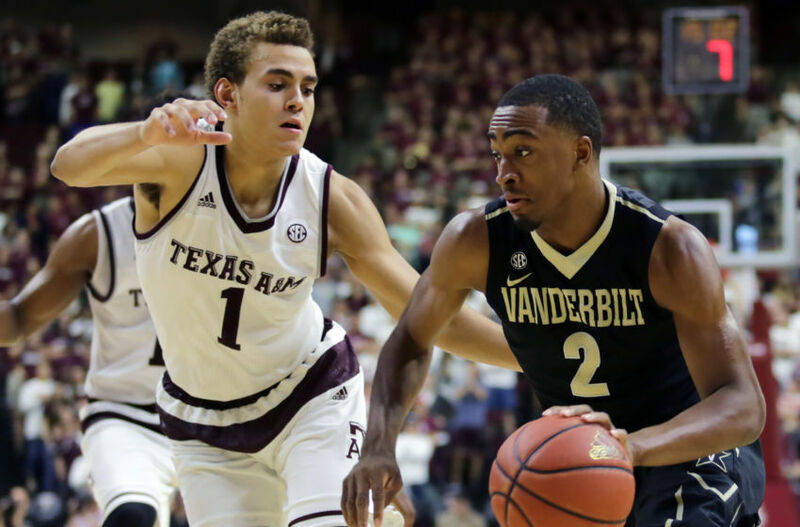 After all, if they can beat Arkansas, then they have three winnable games coming up with the Texas A&M Aggies on the road and then two home games against the Vanderbilt Commodores and the Alabama Crimson Tide. Alabama is the next team on this list. 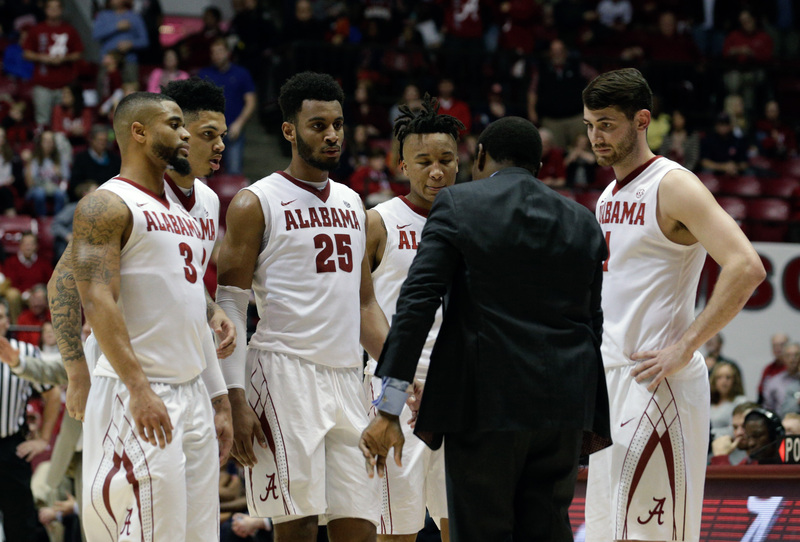 We can’t figure out Avery Johnson’s team, so we seem to overreact with where we move them each week in our SEC Power Rankings. But this is far and away the most inconsistent team in the conference. Two weeks ago, the Alabama Crimson Tide looked awesome with wins over the Georgia Bulldogs and Mississippi State Bulldogs. But then they were blown out by the Arkansas Razorbacks and lost again to the Auburn Tigers, who lost to Tennessee earlier in the week. And with Arkansas’s loss to Missouri, a collection of things forced Alabama down to No. 12 in this week’s rankings. And that happens despite their No. 77 RPI ranking, their 13-9 schedule, and their co-fourth place spot in the SEC standings with their 6-4 record in the conference. Alabama now has more work to do to show us exactly who they are. And this week, that will not be easy with a road game against the South Carolina Gamecocks and a very tough home match-up against the Kentucky Wildcats. 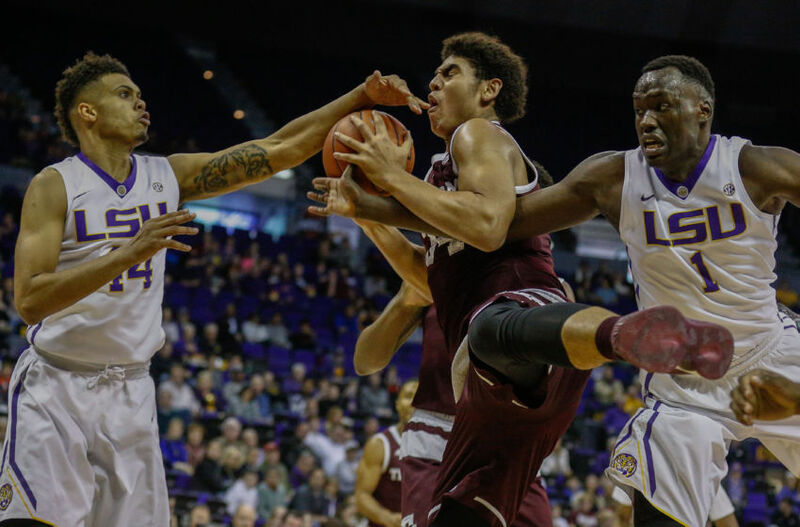 This week alone could knock them out of the NCAA Tournament race, even with the Missouri Tigers and LSU Tigers to follow as opponents after that. So they have a lot of work to do to get back on the bubble. We probably could have kept the Alabama Crimson Tide ahead of the Texas A&M Aggies in our SEC Power Rankings this past week. After all, it’s not like Texas A&M did anything impressive by beating the LSU Tigers, and losing at home to the Vanderbilt Commodores warrants more of a drop than either of Alabama’s losses. But they did at least win a game, so while it may be unfair, we’re going to keep them ahead of the massively inconsistent Tide for now. That doesn’t mean much, though. Billy Kennedy’s team does not look like it’s in great position to build off of last year’s NIT appearance. Currently, they are 12-10 with the No. 86 ranking in the RPI. Going forward, though, they have a great chance to improve their standing. Up next is what should be a sure win against the Missouri Tigers. After that is a likely loss at the Florida Gators, but they have a chance in their next four games after that to avenge the Vanderbilt Commodores, beat the Auburn Tigers at home, and then enjoy two more likely wins agains the Missouri Tigers and Alabama Crimson Tide at home. In the middle of that, they have a tough road game against the Arkansas Razorbacks. However, all five games are winnable, and one of those opponents is next on this list. 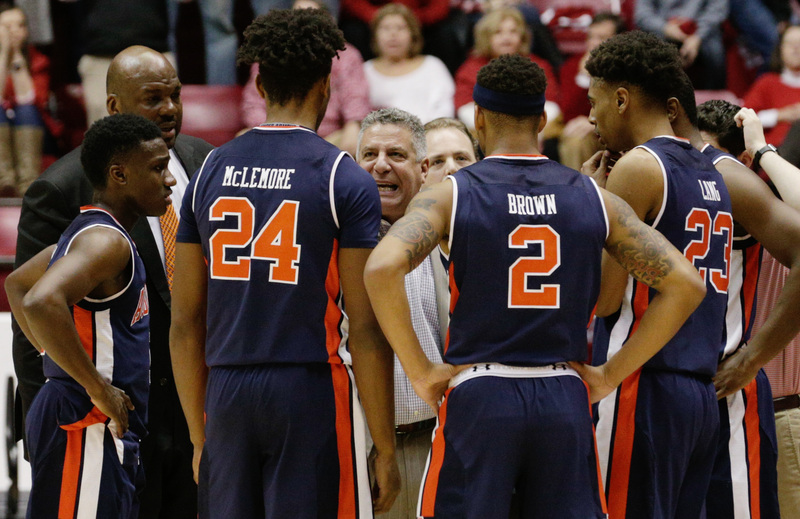 Bruce Pearl’s team did not do anything to rise this week in our SEC Power Rankings, and they are still flirting with the bubble for the NCAA Tournament. 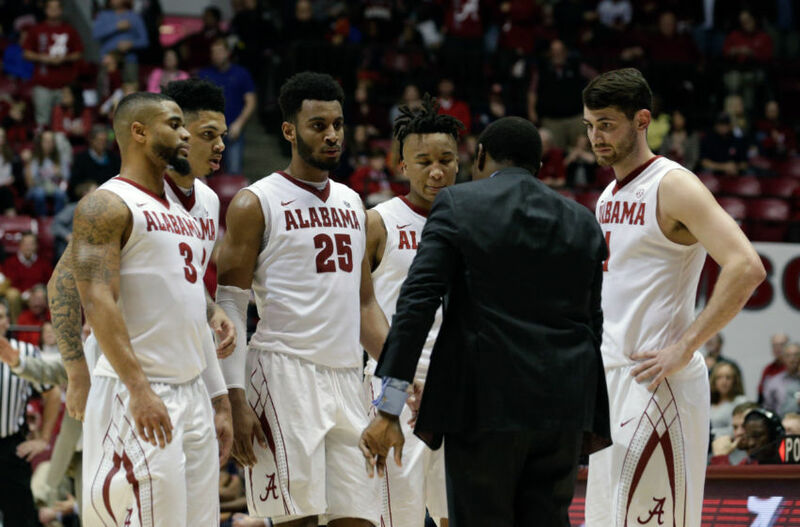 They have won four of their last six games, but a blowout home loss to the Tennessee Vols last week was not great for their chances to reach the tournament. Still, they are 15-8, and with their 4-6 SEC record, they have a No. 63 ranking in the RPI. And completing a sweep over the Alabama Crimson Tide last week puts them in great shape. To reach the Big Dance, they need to likely win six of their final eight games. The good news for them is all the games are winnable. Their toughest opponent, the Florida Gators, are at home next week. 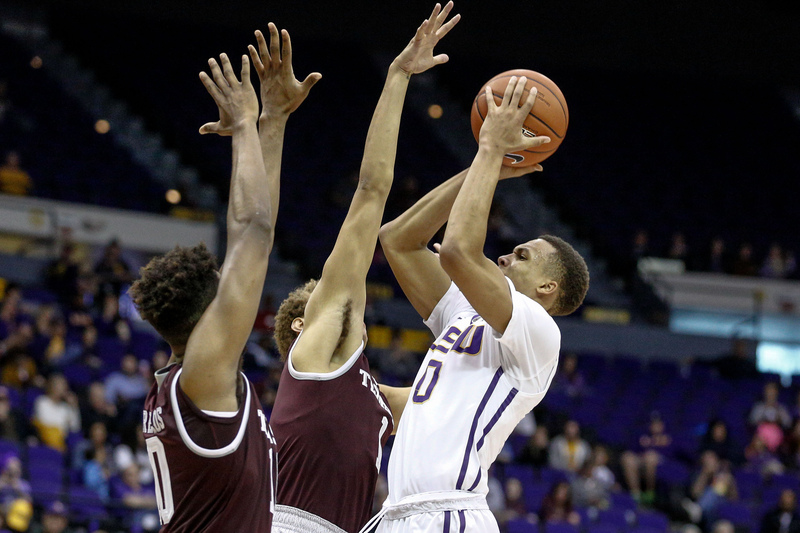 They still get a chance at two more wins with the LSU Tigers and Missouri Tigers, as well. The Arkansas Razorbacks at home and Georgia Bulldogs on the road are also winnable. Before all of that, they host the Mississippi State Bulldogs and then visit the Ole Miss Rebels this week. We’ll have a better idea of where they stand after those two games. And one of those opponents is next on our list. The Mississippi State Bulldogs definitely deserved a bump in our SEC Power Rankings after such an amazing comeback over the Tennessee Vols this past Saturday, and for another week they remain .500 in SEC play. Ben Howland’s team has a good record on paper with that .500 percentage and a 14-8 record overall. However, they are still outside of the Top 100 of the RPI, at No. 113 overall, due to their No. 114 ranked strength of schedule. 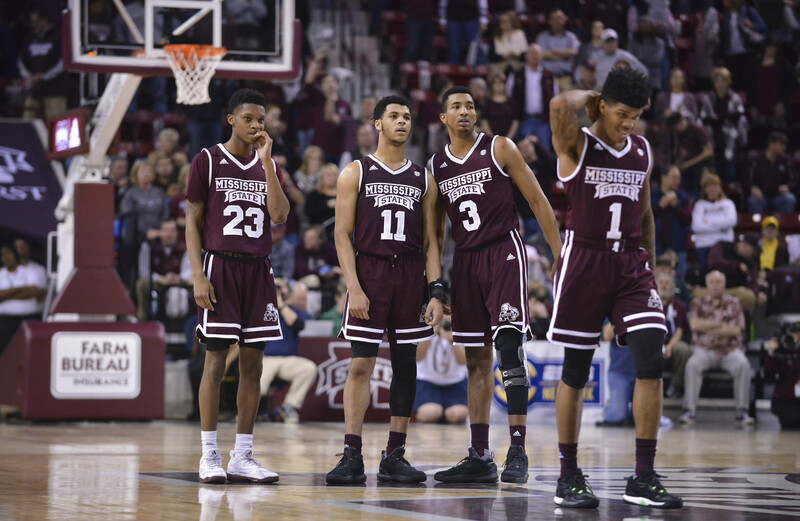 Mississippi State also still has a lot more to prove, as they are only here because of one great half of basketball on their home court. That does not mean they’ll stay here, and they’ve got a lot more work to do to prove they belong here, especially if they want to reach the NCAA Tournament bubble. The Auburn Tigers and Georgia Bulldogs on the road are two of their next three games, and their only home game in between that is the South Carolina Gamecocks. Then come the Florida Gators at home after that three-game stretch. So they have a brutal four-game stretch coming up that will at least boost their schedule strength, but without wins it’ll kill their standings. These next four games will tell us exactly where Mississippi State belongs. Perhaps we are being a bit unfair here. 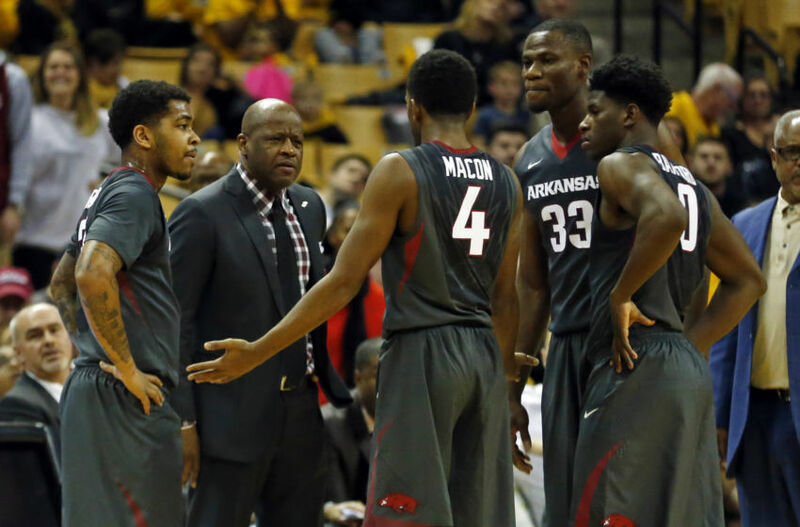 Mike Anderson’s team is still 17-6 overall and tied for fourth place in the SEC with a 6-4 record there. The Arkansas Razorbacks also had a nice victory over the Alabama Crimson Tide last week, they have a No. 36 RPI ranking, and they’re still in strong contention for the NCAA Tournament. Nope. Never mind. We’re not being unfair. 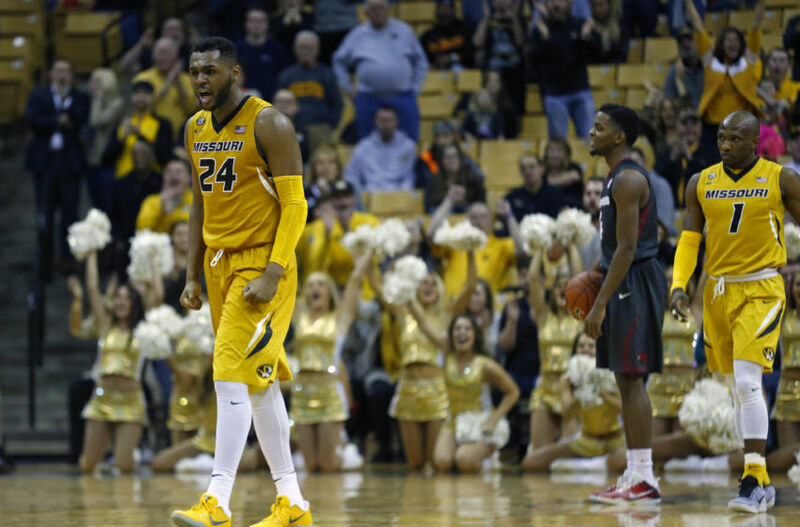 The Missouri Tigers are an awful team, and only dropping the Razorbacks three spots is generous. How do you lose to that team with so much to play for? That’s an embarrassment, and with two losses in their last three games, we feel no shame in dropping them to No. 8 in our SEC Power Rankings. The good news for Arkansas is they are still in strong contention to reach the Big Dance, but they need some solid wins to cancel out that terrible loss. Later this week they have the LSU Tigers on the road, and that should be a win, but now nothing is a given. Still, after that they have a chance for a quality win in a road game against the South Carolina Gamecocks. But before that, they have a home date with a team rising in these rankings. They have a losing record, they lost a tough one to the Ole Miss Rebels this past Saturday, and they do not appear to belong in the top half of the SEC. But in his first year as head coach, Bryce Drew has his team slowly climbing up the rankings. 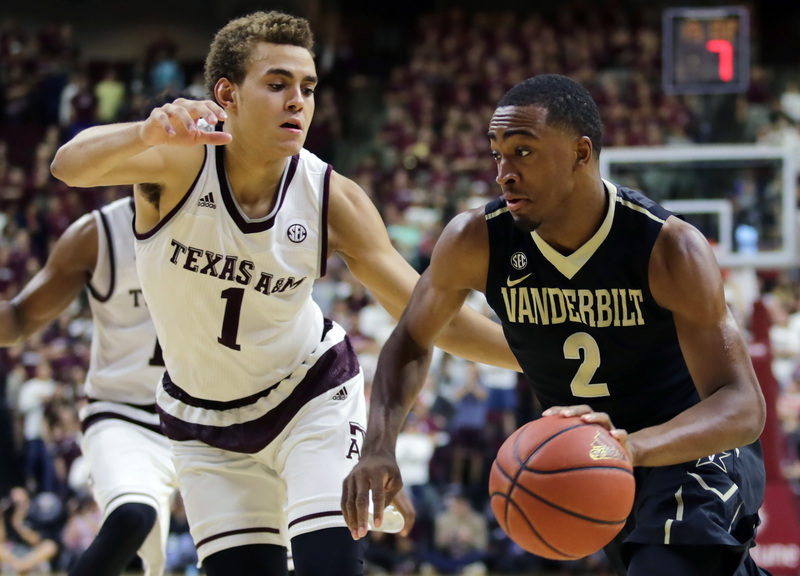 The Vanderbilt Commodores have won three of their last five, and in addition to that Ole Miss loss, a one-point loss to the Arkansas Razorbacks is their only other blemish during that time. This team has really come together, and before that Ole Miss loss, is scored a huge road win against the Texas A&M Aggies. Keep in mind, Vanderbilt is currently No. 60 in the RPI thanks to its No. 2 ranked strength of schedule, and the Commodores do have a huge road win over the Florida Gators. Taking those things into account, just notching a winning record puts them on the NCAA Tournament bubble. That could be hard next with the Arkansas Razorbacks on the road, but after that they have what should be a sure win at the Missouri Tigers, then they get to face the Texas A&M Aggies again at home. So they should win two of the next three, and then four of their final five teams are in the Top 40 of the RPI, so it will only increase their schedule strength. Again, just a winning record gets this team on the bubble. The Georgia Bulldogs did a very rare thing this week. They moved up in our SEC Power Rankings despite two straight losses last week. However, those two losses were to two of the clear-cut top three teams in the conference, and both were extremely close. 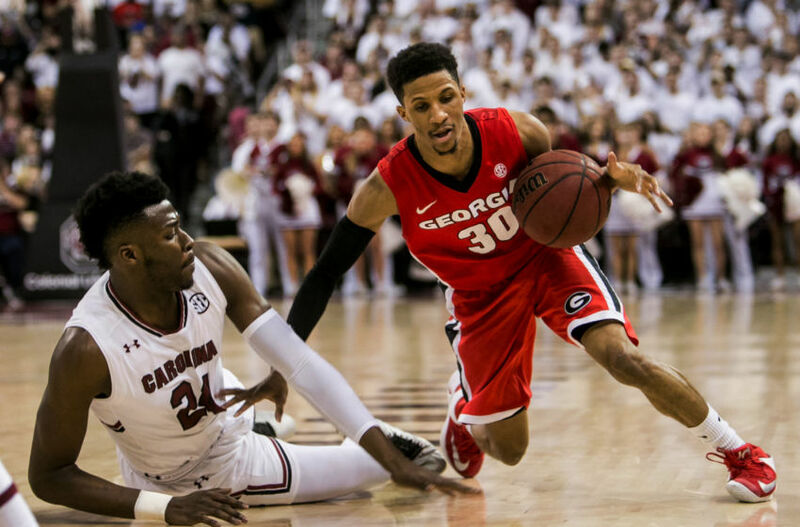 Georgia’s two losses were both on the road, in overtime to the Kentucky Wildcats and by two to the South Carolina Gamecocks. All that shows is that Mark Fox’s team, at 13-10 and 4-6 in the conference, is clearly getting better. So they deserved to move up. The Dawgs are No. 54 in the RPI thanks to their No. 23 ranked strength of schedule with that record, so a few more wins guarantees them a spot in the NCAA Tournament as well. But the schedule gets no easier. Up next for them is the Florida Gators at home, so they can round out the elite of the conference. They also still have to face the Kentucky Wildcats down the road at home as well. But those are two huge opportunities as well, and while the LSU Tigers, Auburn Tigers, and Mississippi State Bulldogs are all should-be wins at home, they also have three more road games where they need a couple of wins. Those are against the Arkansas Razorbacks, Alabama Crimson Tide, and the next team on this list. Although their winning streak ended last Saturday, the Tennessee Vols did not do enough to fall too hard in our SEC Power Rankings for this week. That’s because Rick Barnes’s team is one bad half away from being in the Top Three of our power rankings. 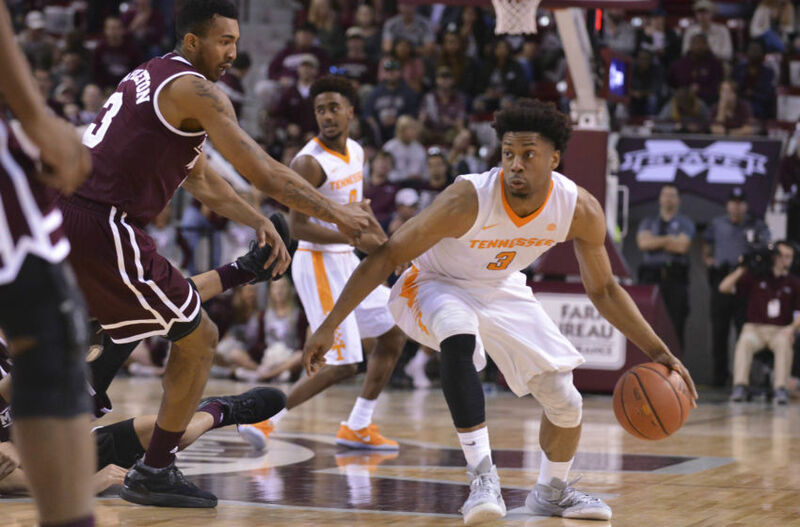 Tennessee basketball followed up its huge wins over the Kentucky Wildcats and Kansas State Wildcats with a dominating Tuesday night victory over the Auburn Tigers on the road. 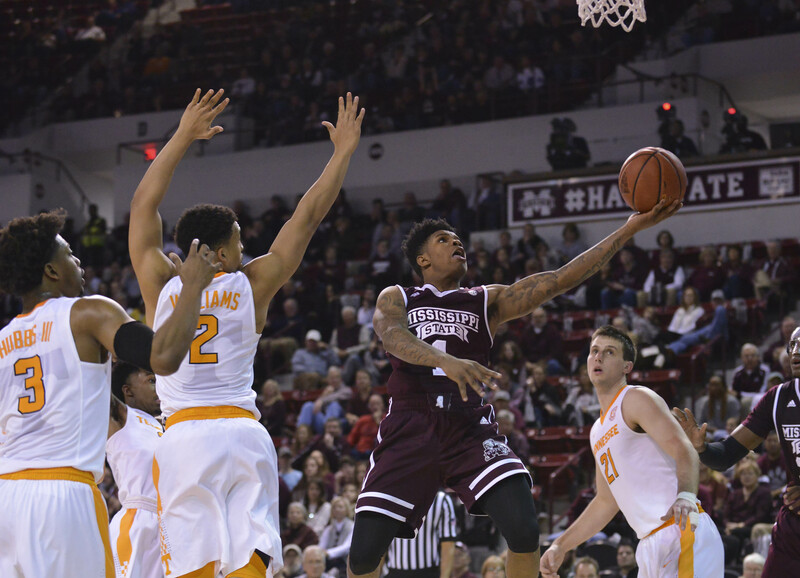 Then, on Saturday, they built a 19-point lead on the road against a very tough Mississippi State Bulldogs team. But with their best player battling injuries, they could not hold onto the lead and just barely lost in the end. A loss on the road like that is not enough to knock this team too far down the pecking order, and at 13-10, they are still firmly in the NCAA Tournament race thanks to their No. 3 ranked strength of schedule, which puts their RPI ranking at No. 37. 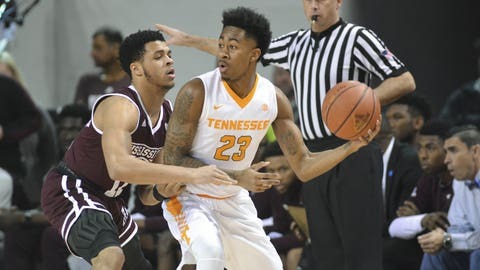 This week, they have a great chance to extend on that with two very winnable home games against two quality opponents.These two games are their make or break games, and Rick Barnes’s team needs to win both. Later in the week, they host the Georgia Bulldogs. But before that, they’ll be looking to get revenge at home against another Top 50 RPI team. That team is next on our list. Yes, this is an overreaction probably. 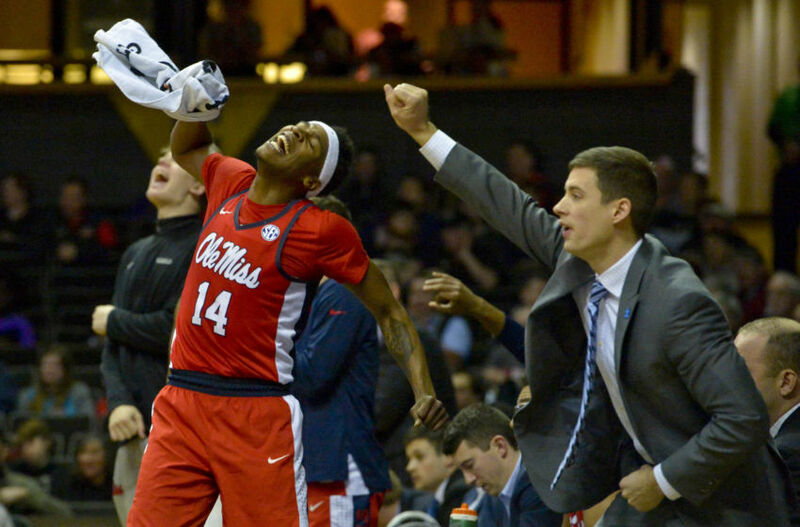 The Ole Miss Rebels are a solid team, but going from No. 11 to No. 4 seems like a big jump with just two decent victories. Still, the SEC was so up and down this past week that two wins over solid teams means for right now, they are playing the best basketball among the middle of the pack SEC teams. And that’s enough to move them up to here in our SEC Power Rankings for this week. 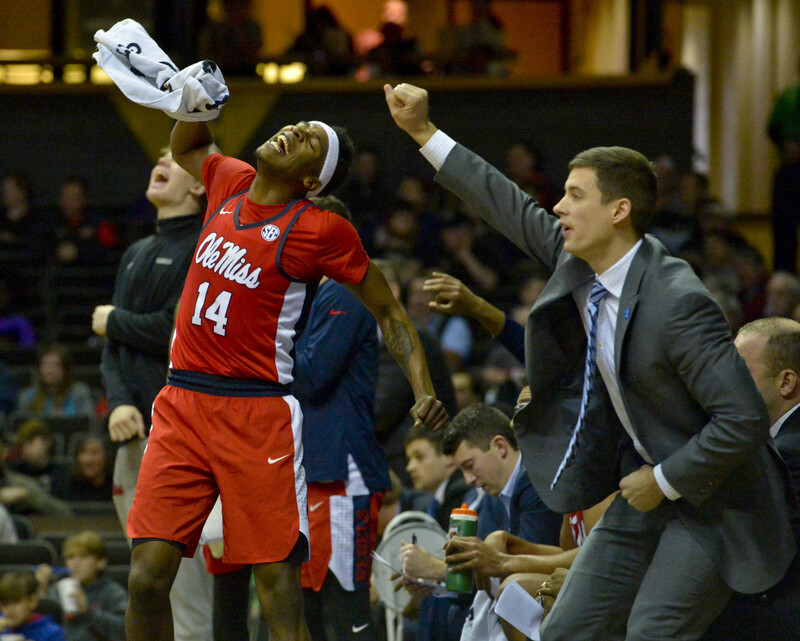 Ole Miss is squarely on the NCAA Tournament bubble with its 14-9 record and 5-5 SEC record. Andy Kennedy’s team is No. 56 in the RPI with the No. 28 ranked strength of schedule. And this week, they have a tough slate ahead of them against two teams desperate to make the NCAA Tournament as well. 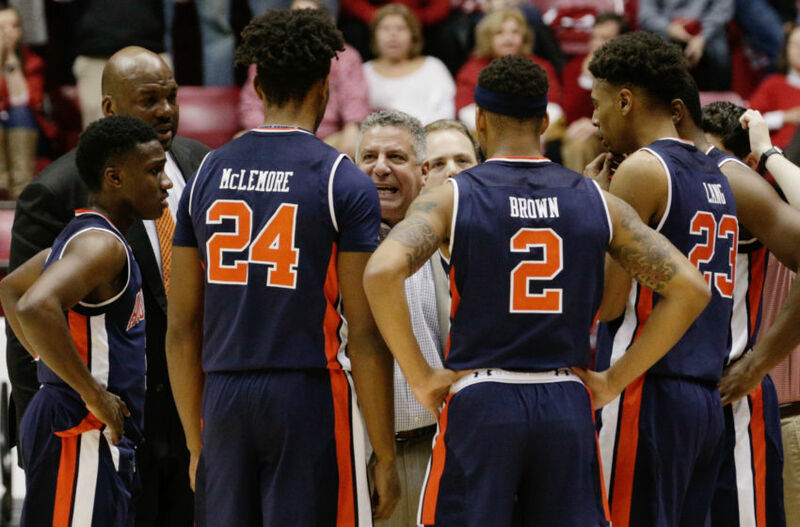 The first is against a red-hot Tennessee Vols team on the road looking to get back on track and to get revenge for an earlier loss to the Rebels, and the next is a game at home against Bruce Pearl’s Jekyll and Hyde Auburn Tigers. If they can win these next two, they’ll be in amazing shape. But a split keeps them on the bubble. We are now into the top tier teams for our SEC Power Rankings, and it’s no secret that the Kentucky Wildcats finally deserved to drop from first to third on this list. 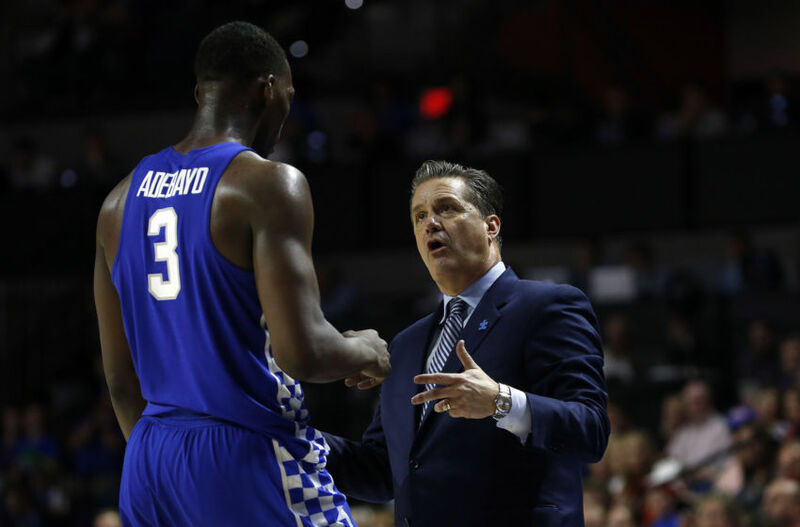 Although they lost two games the previous week, we kept John Calipari’s team at No. 1 because both losses were close and on the road. However, after this past week, they are clearly not playing at the level they were playing at earlier in the year. 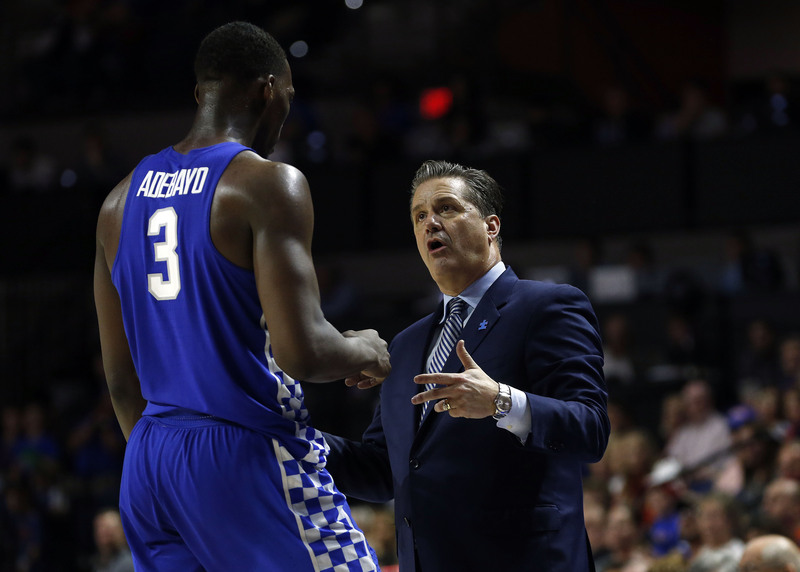 Kentucky needed overtime to beat the Georgia Bulldogs at home, and then they were blown out by the Florida Gators. So they’ve lose three of their past four, and they’ve looked worse than they should in all four games. That’s why they’re No. 3 in our SEC Power Rankings. And now, a No. 1 seed and even the SEC Regular Season championship is in serious jeopardy, as these guys have fallen to third place in the SEC standings as well. Although the RPI projects them to win out, they still have a brutal schedule left, including the Florida Gators and Tennessee Vols again, the Georgia Bulldogs, Alabama Crimson Tide, and Texas A&M Aggies on the road, and a rising Vanderbilt Commodores team at home. This week, though, with the LSU Tigers at home to start, they should get back on track. The South Carolina Gamecocks have now won nine of their past 10 games with their only SEC loss a road blunder at the Kentucky Wildcats. But outside of that, Frank Martin’s team continues to look much better while the Wildcats continue to look much worse, and South Carolina is now in first place overall in the SEC with that 9-1 record. So they did more than enough to earn a spot ahead of the Gamecocks in our SEC Power Rankings this week. 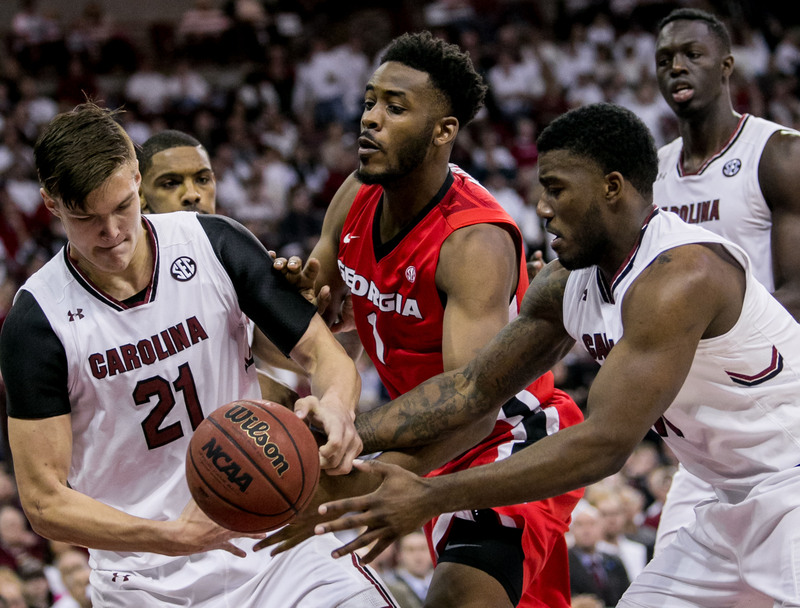 At 19-4 overall, the Gamecocks learned their lesson from last year and at least scheduled decently this time with the No. 44 ranked strength of schedule, and it’s been enough to put them at No. 18 in the RPI for this year. However, the schedule does get tougher. 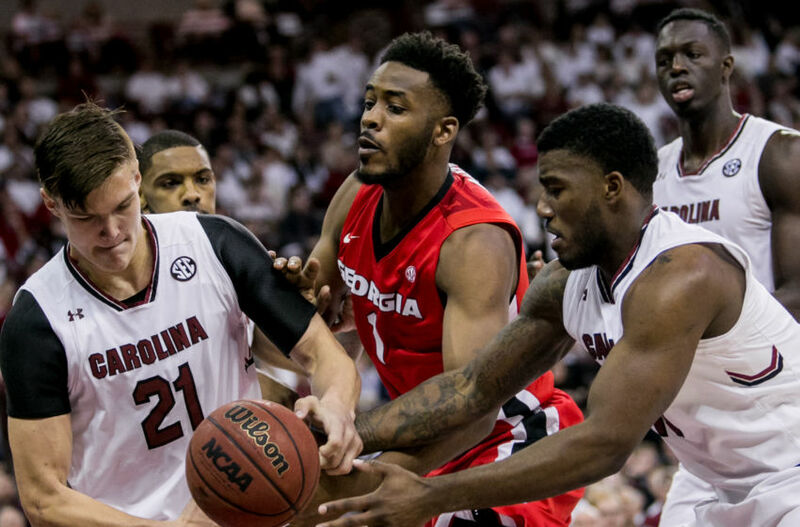 South Carolina has road games left against the Mississippi State Bulldogs this week and then the Vanderbilt Commodores, Florida Gators, and Ole Miss Rebels down the line. They also have home match-ups with the Alabama Crimson Tide this week and then the Bulldogs again, the Arkansas Razorbacks, and the Tennessee Vols down the line. So this stretch coming up could move them into contention for a No. 1 seed if they play it right. The Florida Gators are back on track and clearly the hottest team in the SEC right now with their four-game winning streak. At this point, we feel safe calling that home loss to the Vanderbilt Commodores a couple of weeks ago a complete and total fluke. Florida then won three straight games by over 30 points, and two of them were by at least 35 points. Then they hosted the Kentucky Wildcats, clearly the top team in the SEC, and dominated the game en route to a 20-point win. 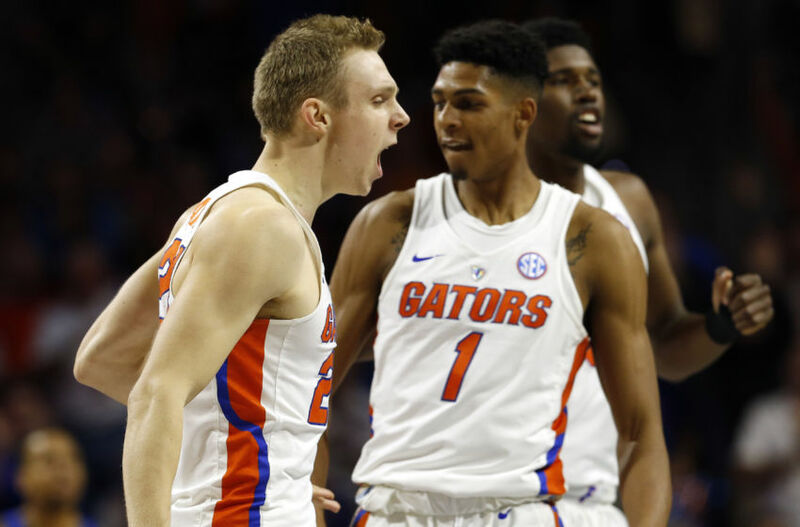 In the process, the Gators have earned this top spot in our SEC Power Rankings this week, and all of a sudden, Mike White’s team could be the one in the conference thinking about the No. 1 seed. Currently, they are No. 10 in the RPI with their 18-5 record and 8-2 conference record to go with their No. 14 ranked strength of schedule. 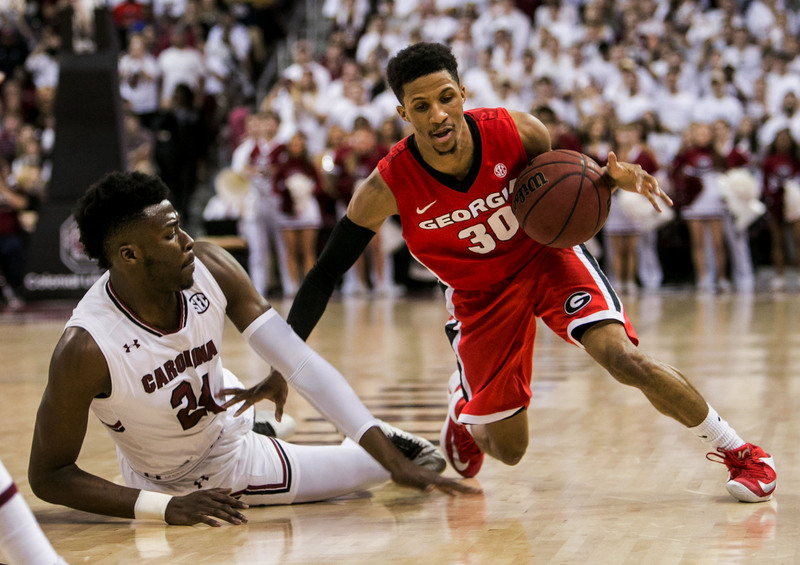 And if they can get past the Georgia Bulldogs on the road this week, their only road game left against a Top 60 RPI team is Kentucky. Outside of that, every other tough game is at home, including a rematch with the South Carolina Gamecocks, and it can help them beef up their resume and get to 25 wins in the process. So the possibilities are endless for this team, and right now, they clearly belong in the top spot of our SEC Power Rankings.